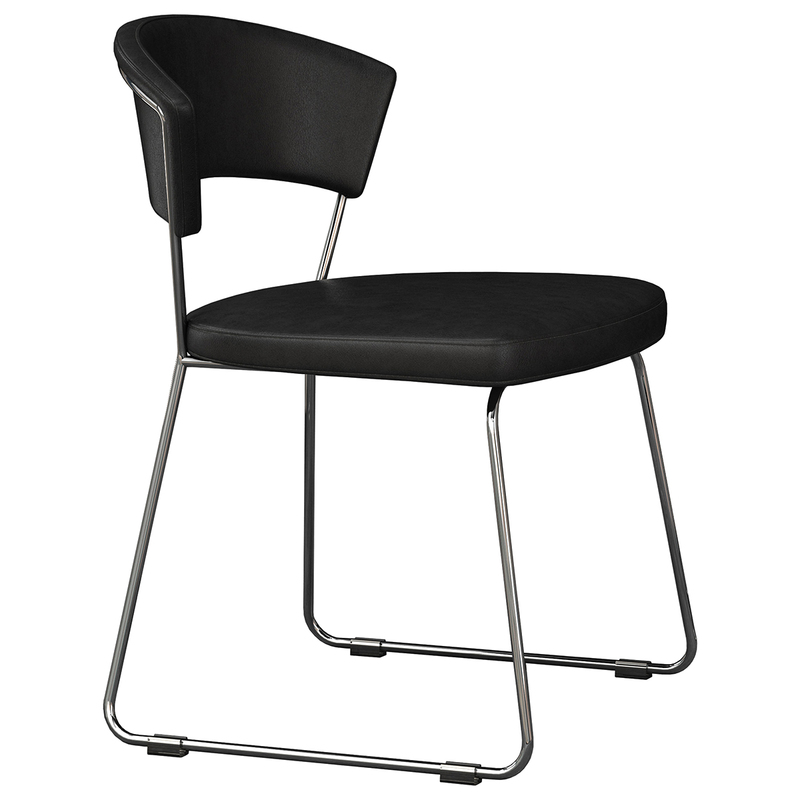 Featuring an ultra modern design laced with retro influences and ergonomic comforts, the Delancy Dining Chair by Modloft ensures that every meal is experienced in relaxed sophistication. 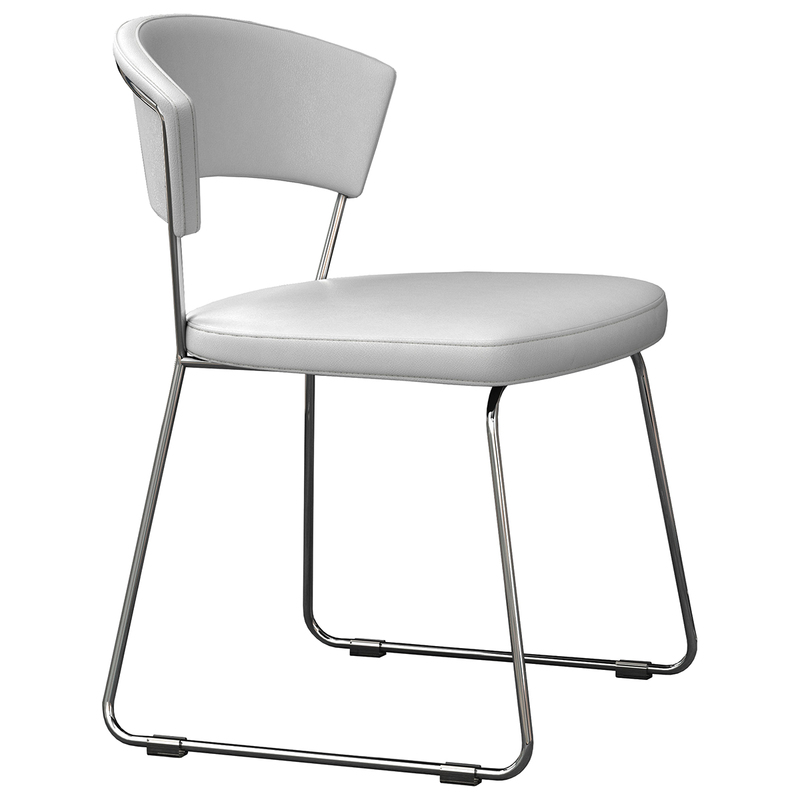 A sleek and streamlined steel frame gives this contemporary dining chair a light and airy yet strong and reliable foundation. 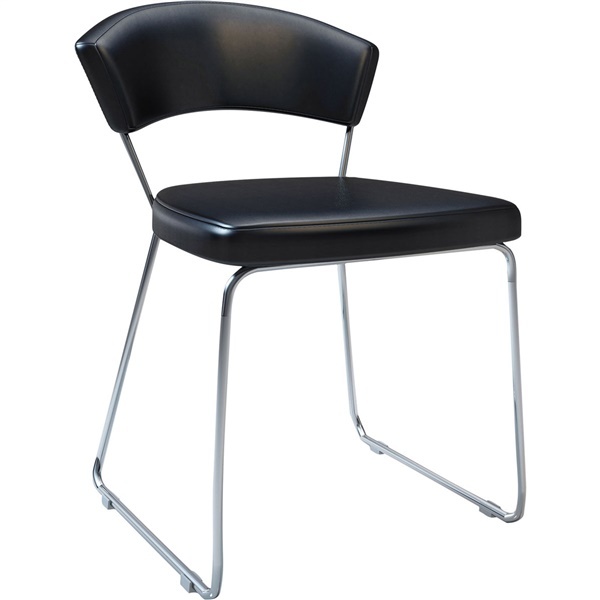 The sparse, open look of the chair continues in the open back, but a cushioned seat paired with a contoured backrest keep you as comfortable as a solid cushioned chair would, just without the bulk. Both the seat and the backrest are wrapped in reconstituted leather, giving the Delancy Dining Chair a final air of elegance and an Eco-friendly design. I like the look, feel, materials, size and weight of these chairs and find them comfortable. Only problems are that screws holding seat to frame keep coming out, and the plastic pads that keep the frame from scraping the floor keep turning over or coming off.